The Temporal Flux Promo Week (originally known as “Mech Week”) is a Rift Store Promotions week that occurs every now and then throughout the year. The following is a guide to everything you need to know about this Promo Week. Note: Promo Weeks are not World Events and are instead Rift Store Promotions. ‘Blue and Gold Empyreal Walker’ mount obtained via rare chance from Temporal Flux Vaults (lockboxes). ‘Golden Empyreal Walker’ mount obtained via rare chance from Temporal Flux Vault IIs (lockboxes). ‘Black Empyreal Walker’ obtained via 850 Temporal Gears at PRI Quartermasters or via rare chance from Temporal Flux Vault IIIs (lockboxes). ‘Red and Black Empyreal Walker’ mount obtained via rare chance from Mechanized Temporal Vaults (lockboxes). Temporal Gear: Gain ~3-10 from Temporal Flux Vault IIIs and 10 from each Temporal Flux Daily Quest. Complete 3 of the 5 Temporal Flux Quests once each to obtain a Temporal Flux Vault II from “I’m All Gears” achievement + from To The Strongest! quest. Temporal Flux Rifts give rare chance at Mechanized Temporal Vaults. Temporal Flux is a Promo Week (Rift Store Promotion) centered around the Empyreal Walker Mounts and the Temporal Flux Vaults (lockboxes). Temporal Flux Vault IIIs (lockboxes) are up on the Rift Store for 445 Credits each (405 for Patron). There’s also new daily quests and a Mount vendor for the Black Empyreal Walker Mount. The Empyreal Walker Mounts are also part of the Planar Research Institute’s discoveries. The Promo Week was originally called Mech Week. The mounts use the Manslaughter and Nemesis mech models from Golem Foundry and Return to Deepstrike respectively. The Golden Empyreal Walker Mount used to be obtained as a rare chance from the Temporal Flux Vault II lockboxes. This mount seems to be unobtainable in the latest promo week. At present there does not seem to be a way of obtaining the Blue and Gold Empyreal Walker Mount for this current Temporal Flux Promo Week as the original Temporal Flux Vaults are no longer obtainable. The Blue and Gold Empyreal Walker Mount used to be obtained as a rare chance from the Temporal Flux Vault (I) lockboxes. This mount seems to be unobtainable in the latest promo week. The Black Empyreal Walker Mounts are obtained from either a rare chance drop from the Temporal Flux Vault IIIs available under RIFT Store -> Chests & Keys during the Temporal Flux Promo Week, or from the PRI Quartermaster found next to every daily Temporal Flux questgiver and turn-in NPC in Silverwood, Freemarch and Tempest Bay. They require 850 Temporal Gears to purchase. Note: The PRI Quartermaster-bought Black Empyreal Walker mount is Account-bound, but is a single-mount and not applied account-wide. Temporal Gears are gained from the Temporal Flux daily quests (mentioned below) and from Temporal Flux Vaults. You’ll notice that the PRI Quartermaster also sells various other mounts from other Promo Weeks. You will not be able to get the Black Empyreal Walker Mount for free (i.e. without using Credits to buy Temporal Flux Vaults) until around the 4th or 5th Temporal Flux Promo Week that occurs. The Red and Black Empyreal Walker Mounts are obtained as a rare chance drop from the Mechanized Temporal Vaults. Rare drop from the Manslaughter boss in Golem Foundry Level 60 Expert Dungeon. Rare drop from Temporal Flux Rifts that are available during the duration of the Temporal Flux Promo Week. These are Air Rifts that appear in any zone. Use your Air Lures on rift tears to speed things up. Temporal Flux Vault IIIs are the lockboxes for this Promo Week that are up on the Rift Store for 445 Credits each (405 for Patron). They contain a chance at a variety of exclusive pets, currency, lockbox gear and a rare chance at a Black Empyreal Walker Mount. You can obtain them from Rift Store -> Chests & Keys and as a rare drop from Temporal Flux Rifts. The Temporal Flux Vault IIIs are a unique type of lockbox as they have a 24hr timer on them. You cannot open the lockbox until the timer ends. You will need Temporal Aligners to reduce the timer, or else you will have to wait for the timers to expire. Temporal Aligners are available from Rift Store -> Chests & Keys. Large reduces the opening time by 24hrs; Medium by 3hrs; Small by 1hr. There’s two achievements related to the Temporal Flux Promo Week. The ‘Gotta Catch Them All!’ achievement is found under Achievements -> Promotions tab. You gain this achievement by collecting all the companion pets that are available in Temporal Flux Vaults. You are rewarded with a Pack of Squirrels 2.0 that spawns a bunch of ‘mechanized’ squirrels. You receive a Temporal Flux Vault III as a reward – which is the lockbox that has a timer that must expire prior to opening it up. Contains a rare chance at a Black Empyreal Walker Mount. Note: If you completed this achievement in a previous Temporal Flux Promo Week, you will no longer be able to complete this achieve again. Note2: The achievement’s “Smashing the Competition” requirement can be completed with a Level 65 Expert Dungeon. However, the daily quest itself can only be completed with a Level 60 Expert Dungeon. These quests are available in Sanctum, Meridian and Tempest Bay for Level 30+ players. Further info below. The Quest Givers are the <Planar Research Institute> and <Temporal Scholar> NPCs. Next to them are <PRI Quartermaster> NPCs that sell the Black Empyreal Walker and Ashen Budgie Mounts. Quests are obtainable by Level 30+ players. Silverwood quest NPCs are located inside Sanctum at (7342, 3063) right next to the bridge leading into Sanctum. 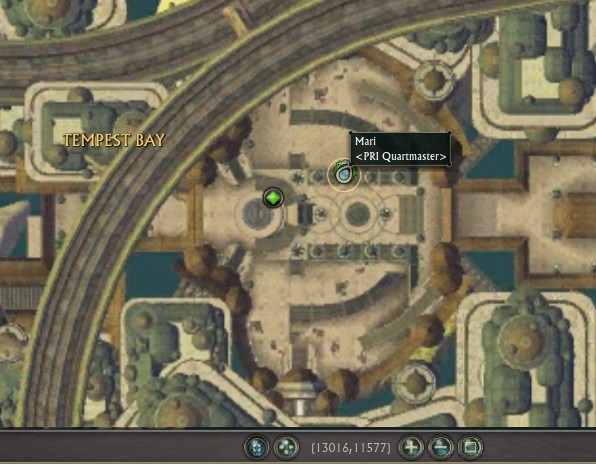 Quest NPCs location for Freemarch is right outside the main courtyard of Meridian in the ‘grassy’ area at (6128, 5224). Tempest Bay’s Quest NPCs are located at (13016, 11577) in the courtyard right behind the Porticulum. Smashing the Competition is obtained in the Sanctum or Meridian Temporal Flux quest hubs. This is a daily. Objective: You need to complete a Level 60 Expert Dungeon. You can access the LFG window via default key “i“. Reward: You are rewarded with 10x Temporal Gear currency that is used towards obtaining a Black Empyreal Walker Mount from a PRI Quartermaster. Note: This is only available to Level 60+ players. 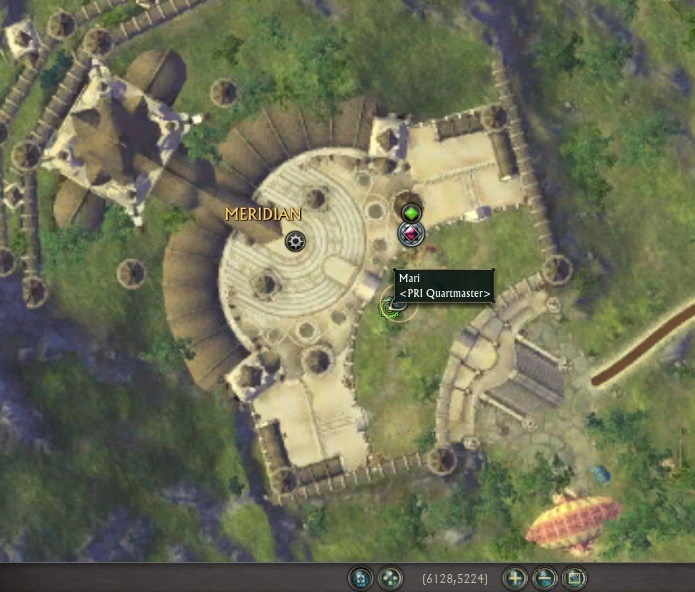 The quest has not been updated for Level 65 players so you’ll need to do a Level 60 Expert Dungeon. Note2: If you are just interested in completing the “I’m All Gears” achievement, you can do a Level 65 Expert Dungeon to complete the “Smashing the Competition” objective for the achievement. Power Play is obtained in the Sanctum or Meridian Temporal Flux quest hubs. This is a daily. Objective: You simply need to complete a Warfront. Open your PvP window (default key “k“) and join up. To the Strongest! is obtained in Tempest Bay’s Temporal Flux quest hub at (13016, 11577). The NPC Klein will provide you with the quest. Objective: You simply need to complete a Warfront and a Level 65 Expert Dungeon. Reward: You are rewarded with a Temporal Flux Vault III. This is a one-time-only quest. Temporal Machinations is obtained in Sanctum, Meridian or Tempest Bay Temporal Flux quest hubs. This is a daily. Objective: You need to collect Mech Components from Temporal Constructs that you defeat that grant experience. Make sure to mentor down if you are doing the Sanctum/Meridian ones if you are a higher level (i.e. Level 15). If you are Level 65, you can mentor down to Level 60 to be within level range of the Tempest Bay mobs (which are Level 55). If you do not mentor down to an appropriate level close to the mob’s level, you will not be able to loot them for the quest item. 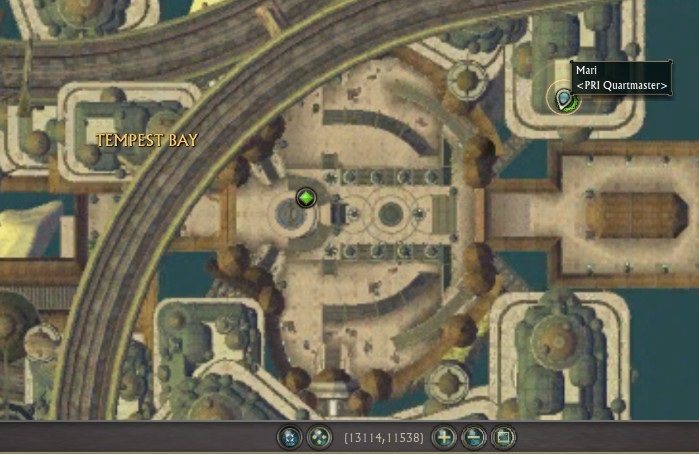 You’ll find the Mech Components in the areas indicated on the map in Sanctum, Meridian or Tempest Bay (depending on which quest you took) and they’ll look like the below image. Click on the Mech Components to spawn a Temporal Construct. You’ll have to kill the Construct that spawns – They are Level 55 for the Tempest Bay quest, so you won’t need a Level 60 to take them down. Battling the Battlers is obtained in Sanctum and Meridian Temporal Flux quest hubs. This is a daily. Objective: You need to defeat a Mechanized Battler (the last boss) of a Temporal Flux Rift. More on Temporal Flux Rifts below. 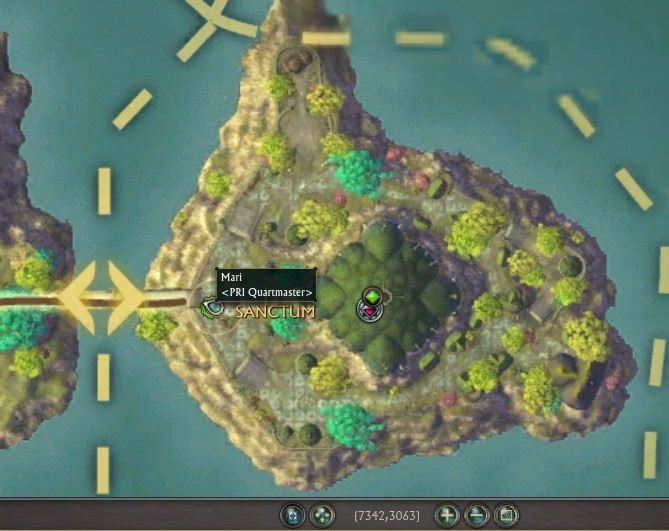 There are now Temporal Flux rifts that can spawn in any zone. They are Air-based so you can use your Air Lures (gained from Planar Attunement) to give yourself a chance at opening one of these rifts. These Temporal Flux Rifts gives you a rare chance of obtaining Mechanized Temporal Vaults (as mentioned in the tracker). The Mechanized Temporal Vaults have the same loot table as the Temporal Flux Vaults – except they give a chance of dropping the Red and Black Empyreal Walker Mount. In Stage 4 you are able to become an Empyreal Walker temporarily by clicking on the reactive that appears. You will then be given a single ability that allows you to place an AoE bomb to destroy Gun Powder Kegs that spawn in the Rift. It would probably be prudent if you make sure you are mentored down to around the level of the rift – at least have the mobs be green to you. Hope you have found this guide useful! If you have any questions, feel free to comment below, use RiftGrate’s contact form, or private message Jonus on the RIFT Forums. Manslaughter, the last boss in Golem Foundry, just dropped a temporal flux vault 2. You may want to add that the Walker, when purchased by the vendor will be account bound, but can only be used on one character, and does not open for all characters on the account.